Where to find property investors? If you're running the Deal Sourcing / Deal Packaging strategy, then often, the biggest challenge is not how to find the deals, but how to find investors to buy your deals! I cover one great way of doing just that, in this video. In this video, I reveal where to find investors -- thousands of them -- at a click of a few buttons! Hi, it's John Wilson here. 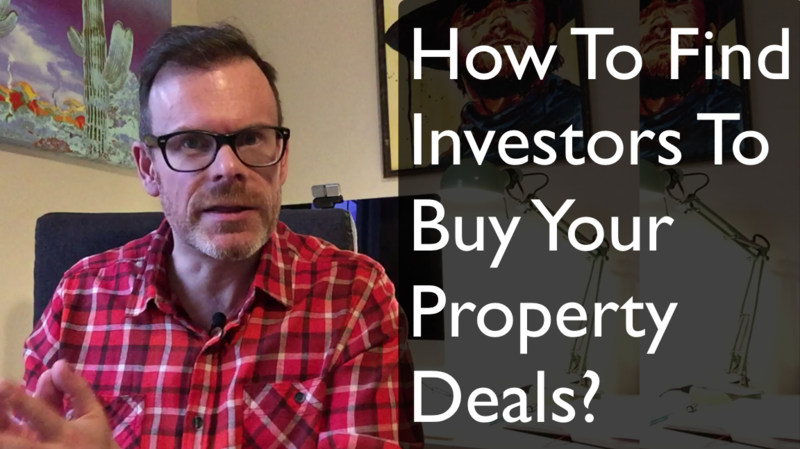 And in the last video we were talking about how you don't necessarily need a lot of money to get started in property investing, if you're not able to buy the properties. To begin with, if you are able to find discounted deals, then you can pass those on to other investors for a decent fee. Investors will pay several thousand pounds for a good deal. So in this video, I want to talk about one good way of finding those investors who are willing to buy those good deals, if you are able to Source them. So what I want to do is just flip over to the computer here and I'll talk you through it. Okay, so this tip is very short, but very effective. So here we are in my LinkedIn account. If you don't have one of these then I suggest you get one. It's going to be very helpful to you in your in your property business. Now first thing I'll point out here, is that underneath my name here it says LION. You may have seen that and as I did to begin with, I wondered what that meant. What it means is LinkedIn open networker and what that is is just a kind of accepted acronym that lets other people know that you're okay with accepting links - connection requests - from people that you don't necessarily know. So people know that you're not going to complain or a flag them up to LinkedIn if if they send you a connection request. So that way you're going to get more connection requests probably from people in your industry and that's a good thing because the bigger your network, the bigger your net worth, as the saying goes. But anyway, if you're looking for investors to buy your deals, then there's no better place to look than LinkedIn. Now if you've been on here for a while, then you may be connected to a bunch of people already. So what I'm going to do, is I'm going to search for property investor here. And here we have four hundred and twelve thousand, five hundred and fifty results. So these are all people who are, I think they're first second and third level connections to myself. So that is a big set of people that you could start off by contacting. 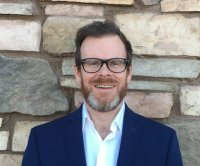 So you probably start off contacting your first level connections. And we go from there, but chances are you're connected to some already. And if you're not then I suggest you start connecting with some property investors on LinkedIn and probably the most efficient way of doing that is using the app. The app just seems to let you do that more efficiently, just by you know, swiping and tapping. It's a quicker process. Probably don't try to connect with loads of people in one day. So don't try and connect to, like a hundred people in one day keep it a small number so that you don't get flagged up, but do that and grow your network of property investors. Contact them with, you know, any deals that you have and there you have it, you're growing your investor list. So I hope that's helped you. Now this form of investing where we find the deals and we pass them on to other investors for a fee, the name we give that is deal packaging. To me, it's possibly the easiest and quickest way to get into property investing and to start generating fees and making money for yourself. It doesn't take too much time. It doesn't take much initial investment, and it's pretty easy to get up to speed on. Now if you're interested. I have a deal packaging manual and if you click through via the the button below this video or the link in the description, then you can find out more about that. That's available at a discount for a limited time. So, I hope you enjoyed this video about how to find property investors. Share it if you if you enjoyed if you did if you know somebody else who might be interested and I'll see you next time. Thanks for watching.